Consider these tips for apartment living with a pet. People who live in apartments often face a difficult choice. They may want to add a pet to their home, must take care to choose the right pet for apartment living. Pets add so much to our lives, including companionship and mental and physical health benefits. The Centers for Disease Control report that the health benefits of pets include lower blood pressure and cholesterol levels, decreased feelings of loneliness, and increased opportunities for exercise, outdoor activities and socialization. The National Institutes of Health agree, and their studies suggest pets help people who’ve had heart attacks live longer than those without. 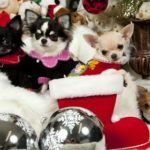 That might explain the millions of dogs and cats in U.S. homes–83 million dogs and 95 million cats according to the Humane Society of the United States. 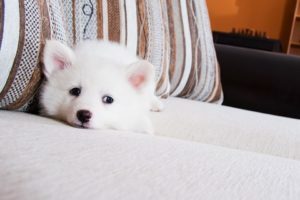 If you live in an apartment or are looking for apartments for rent in Atlanta and want to get a pet, take a little time to weigh everything involved in sharing your rented space with animals. It’s important to know if pets are allowed in your apartment. 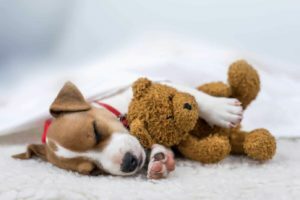 The Humane Society of the United States recommends being honest about having a pet and looking for animal-friendly apartments before getting a pet or moving into an apartment with a pet. 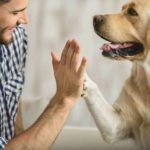 The Human Society suggests that providing good pet-ownership references can help convince a landlord that you are a responsible pet owner. Along with the rental application, provide things like a letter of reference from a previous landlord, documentation from a veterinarian of your pet’s medical care and vaccination records. The CDC recommends researching an animal before getting a pet to make sure you understand the animal’s needs for food and exercise, how big it will grow, how long it lives, what kind of temperament it has and what kind of veterinary care it requires. 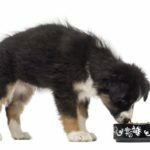 It’s important to understand an animal’s growth and development needs, as well as how much time, attention and money it requires to properly care for it and keep it healthy. 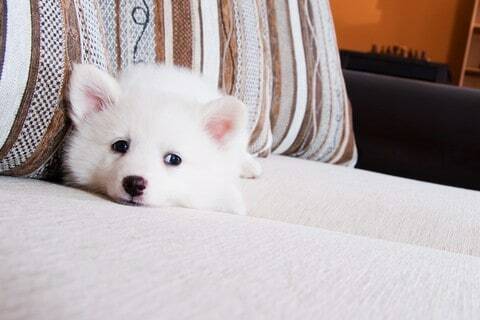 If you’re looking for your first pet for your apartment abode, it can be a good idea to start small. Many different types of animals are well-suited to apartment life. Barring allergies and pet cats, small animals like guinea pigs, hedgehogs, ferrets, hamsters or gerbils are fun and interesting companions, especially for children. Housing and hygiene are the biggest maintenance concerns with caged animals, so be prepared for weekly housekeeping along with daily food, water and play time. Other small animals to consider include fish, hermit crabs, lizards like bearded dragons and geckos, non-poisonous small snakes, and small birds such as parakeets and finches. 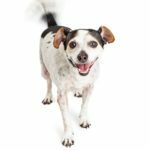 Before you decide to bring a pet into your apartment, be sure you chose the right pet for apartment living. Meghan Bush is a film critic. She loves adventure comedies, her cat, and her boyfriend.